Kerala also known as 'God's Own Country' is well known for its resplendent greenery and exotic views. Art here perfectly blends with the nature in harmony. 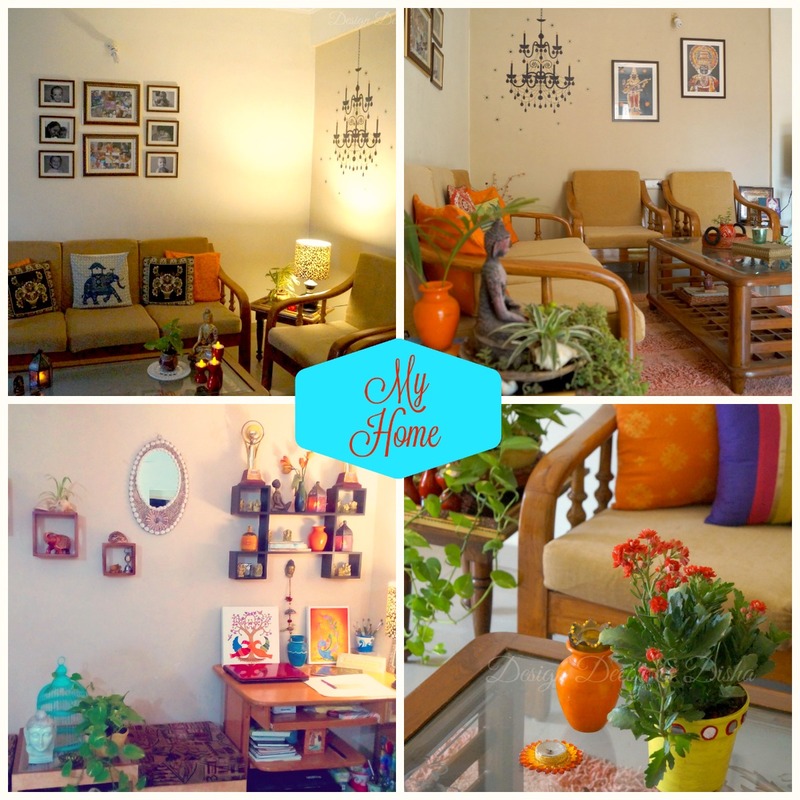 Mural paintings are one such form of art. These paintings are drawn on the walls of temples and churches. 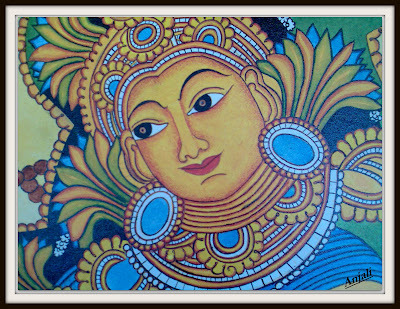 Tradition of painting walls began in Kerala . Roots of extant mural paintings of Kerala could be traced as far back as seventh and eighth century AD. Oldest murals in Kerala were discovered in the rock-cut cave temple of Thirunandikkara. Archaeological evidences show that period from the mid 16th century onward is the golden period of Mural paintings in Kerala. 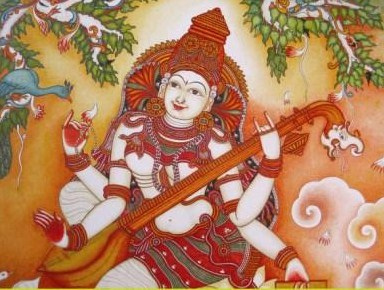 Subject or theme of mural paintings are related to Hindu Gods, Goddesses and ethics. 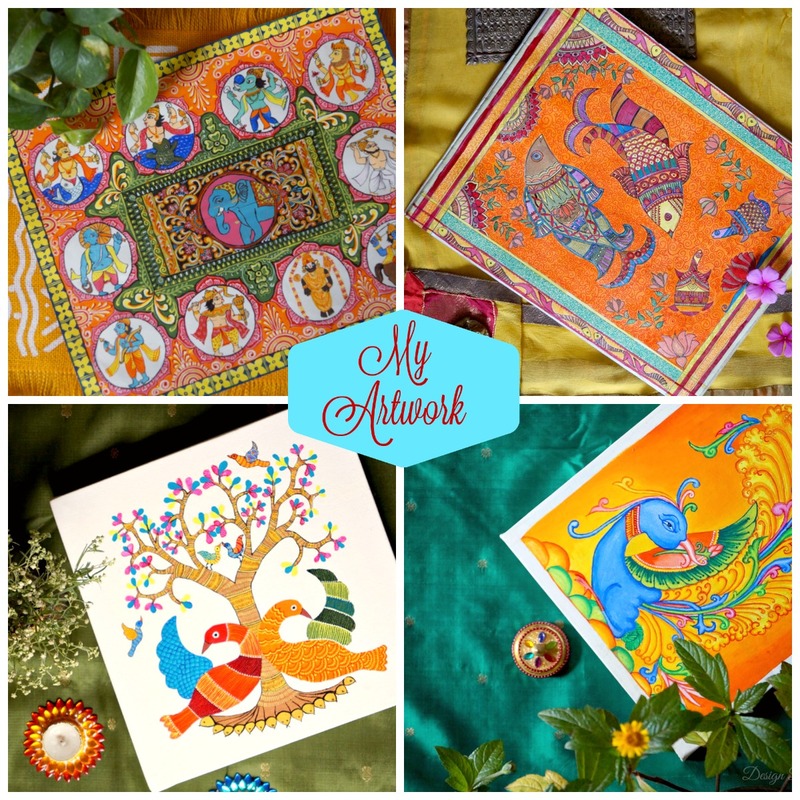 Paintings art greatly inspired by Hindu mythology. This art form adorned the temple walls and Guruvayur in Trichur is one such temple famous for Mural paintings on its wall. It is rich, vibrant bold yet delicate style of painting. Paintings show artistic brilliance as there is acute clarity in form, costumes and expressions. Process is somewhat similar to Pattachitra, as Kerala mural is also process driven with atleast six process involved in completing one painting. Mainly five colors are used in making Mural paintings: White, Black, Yellow, Green and Red. Colors are sourced from minerals and vegetable pigments. Even in present days artists use natural colors only to fill the paintings. It is interesting fact behind each painting that characters are given colors based on their virtues, like red is for power and wealth, white is for lowly and mean characters, green for divinity and black is for demons as usual. 1. Image is sketched on wall with cow dung ash mixed with coconut water or water. 2. Outlines were originally done with cow dung pencils. These days pencils crayons and acrylics are used. 3. Color is then filled based on the virtues of the characters. The colors are generally painted beginning with the lighter colors. The order of coloring is firstly yellow, red, green, blue and brown. 4. Shading is done after filling colors. 5. On shading, black is used to delineate and bring life to the portrayal. 6. The painting is over-coated with pine resin and oil for sheen and protection. No other mural tradition has been able to match the linear accuracy of Kerala murals. 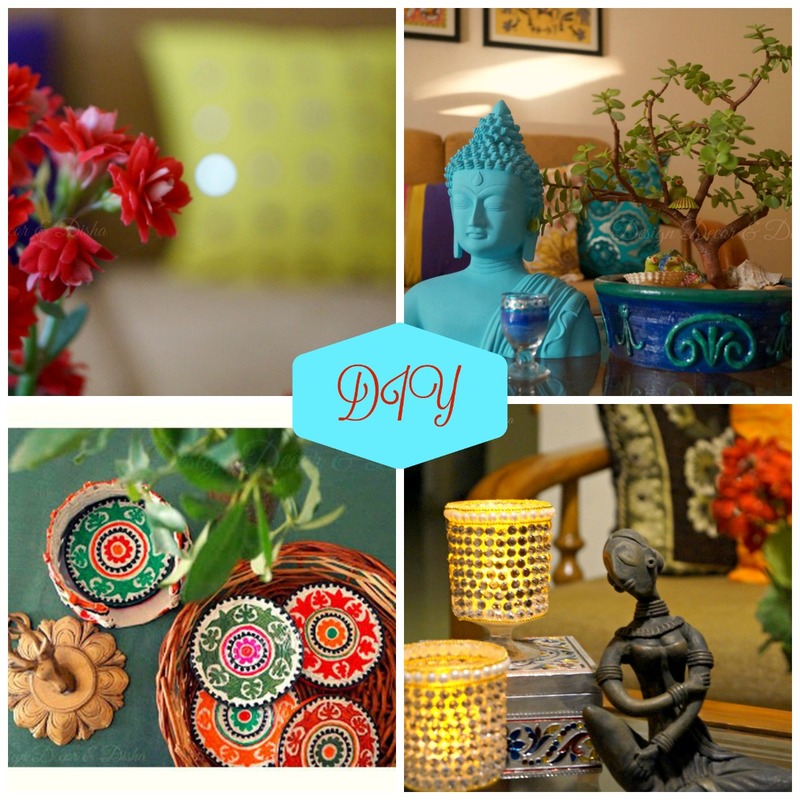 For new readers of my blog who recently joined me, read about other Indian Art forms here.